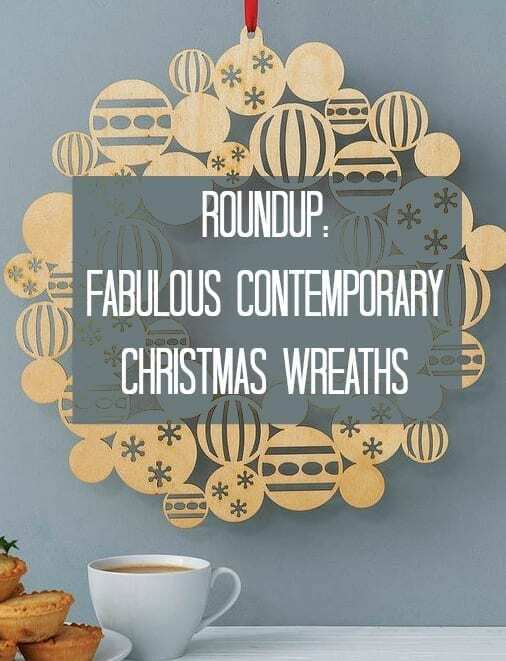 Decorating your home in attractive Christmas decorations is all part of the fun of Christmas, and finding wonderful contemporary Christmas wreaths has been high up on my agenda this year. I’ve been looking around shops and Pinterest for inspiration and would love to be able to craft my own. Time and lack of skill go against me unfortunately so I’ve been looking around for something I could buy. I love this selection in the image above. Whilst they might not be everyone’s cup of tea, a contemporary Christmas wreath really sets the tone for your Christmas decor. You can really give your outdoor Christmas decorations the wow factor and impress your guests and visitors. Our Twig Christmas Tree is really causing a little stir as people walk by the window this year, and I’ve had quite a few comments already, so I can imagine a contemporary Christmas wreath would look really complete the look. Now if you are a crafter, I’m sure nos. 1, 3 and 5 would be really easy to recreate. No. 1 looks modern and colourful and would be simple to make with a template and yarn. No. 3 uses old book pages and No. 5 is incredibly simple and yet so effective. I would love this on my front door; a perfect accompaniment to the Nordic rustic look I love so much. And of course a wreath isn’t just for the front door. Take a look at No. 6 and the way the same wreath as been used as very striking wall art as part of the Christmas decorations. This is such a simple idea yet one that creates drama and interest into your scheme. 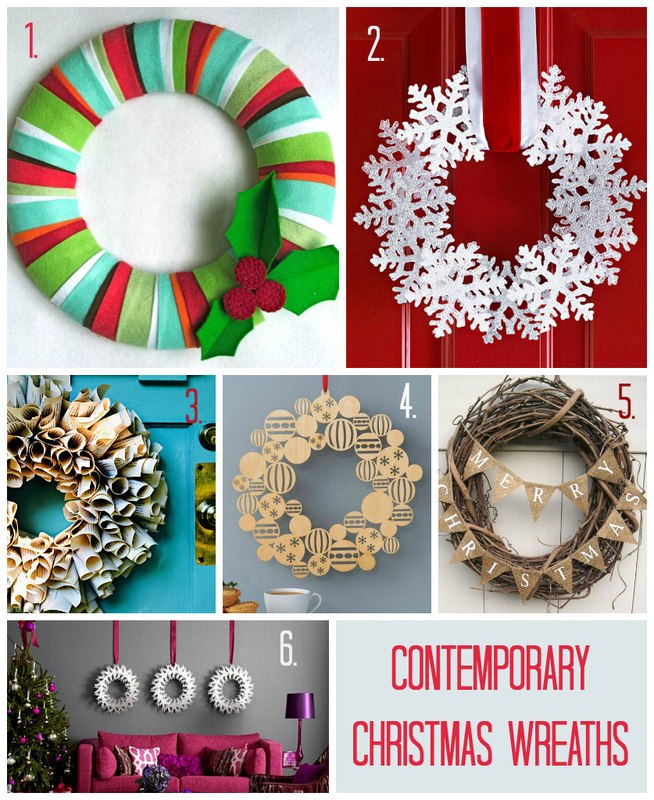 Do you like contemporary Christmas wreaths? Would you have one on your front door? I am loving the Not On The High Street one, great site! Totally agree Mellissa, great for Christmas gifts too!